You parents of school-kids, do you participate in their classrooms? We hear the PTA is no joke! We love being able to observe or join our boys anytime their being creative, so volunteering for their art time at school is right up our alley. This craft is a perfect project to bring for a big classroom. 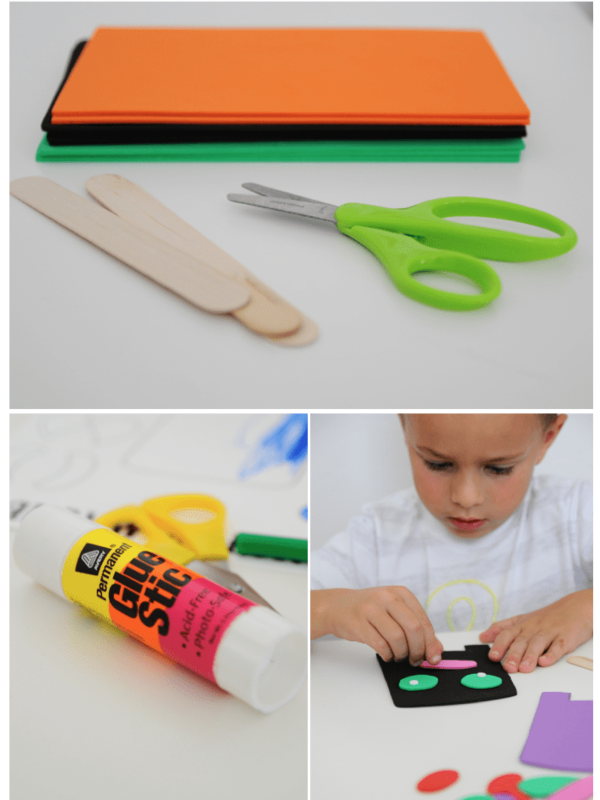 The supplies are super inexpensive and the kids love it! Here’s how you can recreate it at your own schools! You can purchase these Craft Foam Sheets at any craft store, then grab a bag of tongue depressors (popsicle sticks are a little too thin for this), glue and scissors and you’re ready to go! You can cut out a plethora of shapes beforehand to help get them started, or let them go wild with their imagination. It’s great practice for precision cutting, and of course all about creativity! 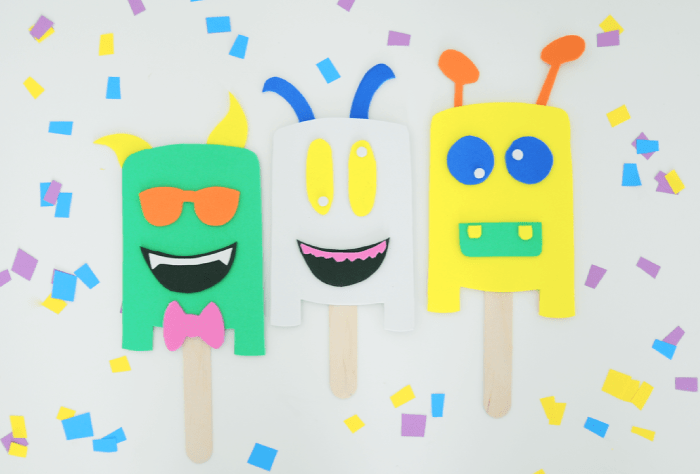 If you’re looking for more kid-centric DIY crafts great for lots of ages, find all our “Workshop” posts right here. Tons of ideas from over the last two years and all made by or with kids! // Quinn’s tee found here. p.s. the response to our Thursday Threads posts have been awesome, we love creating them & so thrilled you love them! To help you out with that Fall Wardrobe be sure to check out this $500 giveaway to Neiman Marcus! FRYday : Nicole it’s bedtime! I adore these puppets!! So cute. Thank you for the idea!